Connector housing, 19-position, single-sided card-edge style with 0.156-inch spacing. Crimp/solder pin type. 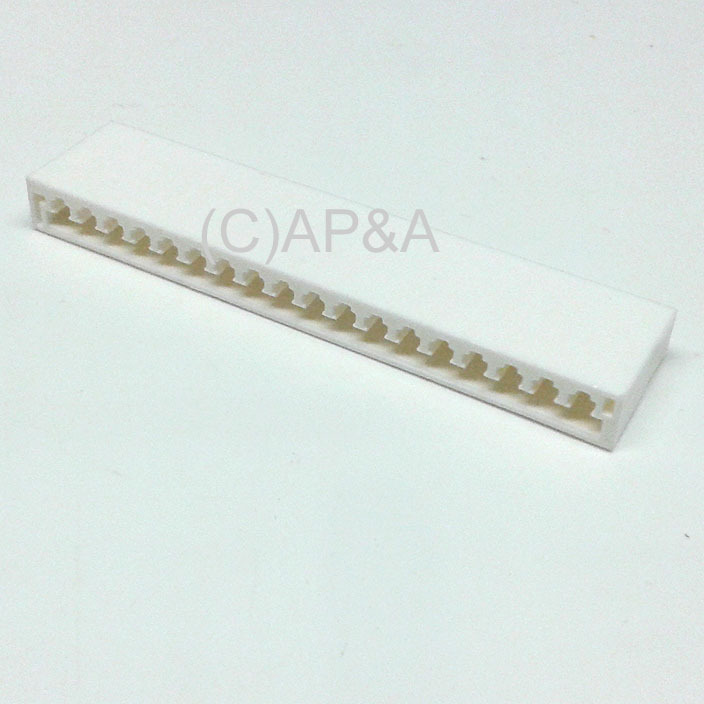 Pins sold separately- use part # 08-52-0072 for this connector housing. Commonly used in Gottlieb games for inter-board connections. Image is sample only- actual item may vary slightly.